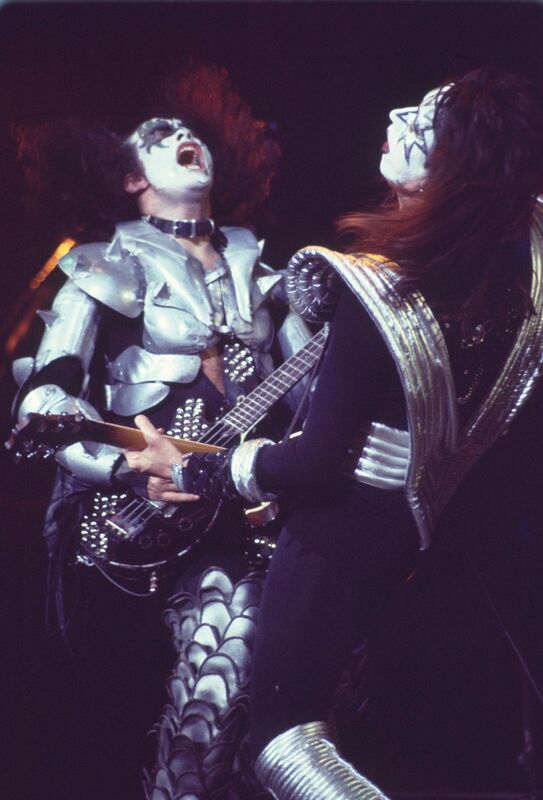 Gene Simmons and Ace Frehley from KISS from the Chicago Stadium from January, 1977. KISS concert in Chicago, January 22, 1977 at the Chicago Stadium. Here is Gene Simmons and Ace Frehley from that concert. Date Uploaded: Nov. 13, 2016, 8 a.m.